Susan's Disney Family: Sulley's Got School Spirit! Do you? 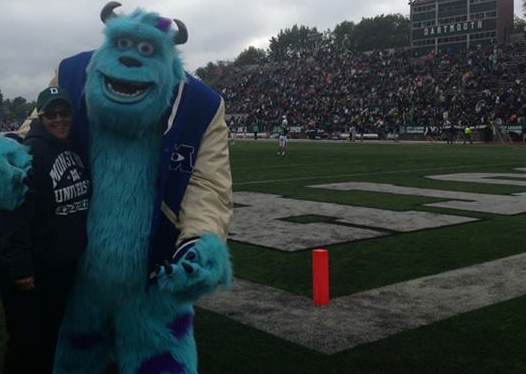 Sulley's Got School Spirit! Do you? 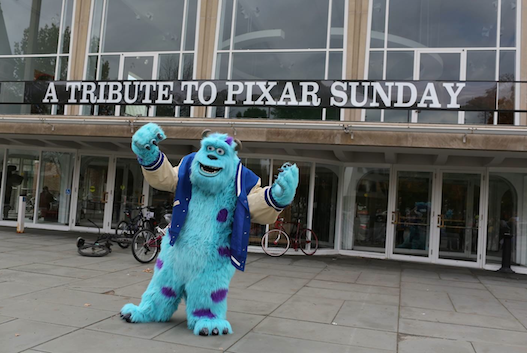 Tied to the October 29th Blu-ray release of MONSTERS UNIVERSITY, Sulley paid a visit to Dartmouth College in New Hampshire where the Dartmouth Film Award and Tribute to Pixar was presented to producer Kori Rae and director Dan Scanlon. MONSTERS UNIVERSITY producer Kori Rae and fellow student Sulley started the day Saturday with a photo op with film students in front of the Spaulding Auditorium and then off to the Dartmouth vs. Yale Homecoming Football game. Halftime score had Dartmouth crushing Yale. 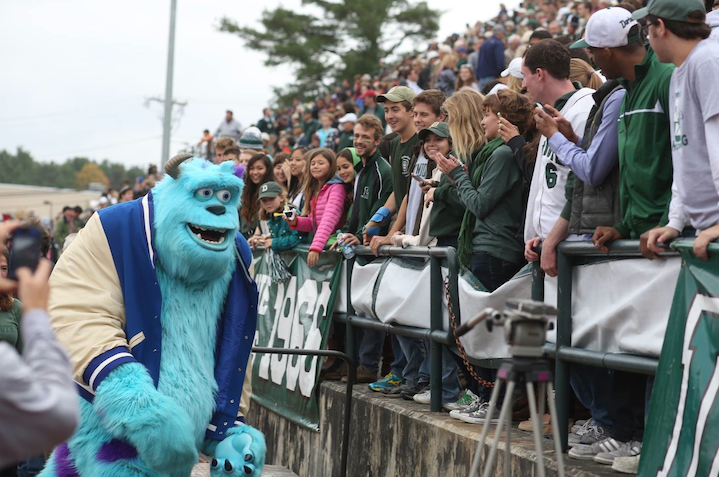 The Dartmouth Band played a selection of music from MU as Kori and Sulley paraded across the field to salute fans at the 50 yard line. The student body and spectators went wild. Lots of pictures were taken and Sulley lingered to shake hands with a lot of the Big Green. Final score was Dartmouth 20, Yale 13. Sunday evening was the highlight with the Dartmouth Film Award and Tribute to Pixar presented by The Hopkins Center for the Arts at Dartmouth College. The night began with a moving Pixar tribute reel followed by Sulley escorting Director Dan Scanlon and Kori to the stage for a moderated Q&A and showcase of bonus features "Monthropology," "Scare Games," and "Paths to Pixar." 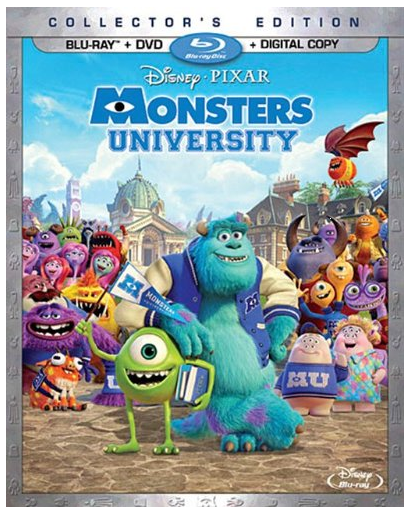 You can purcahse this dvd, on 10/29 wherever dvd's are sold! Wow that is quite the costume! Boy would my grandsons love to give him a hug! !